Samantha McDonough cannot believe her eyes--or her luck. Tucked in an uncut page of a two-hundred-year old poetry book is a letter she believes was written by Jane Austen, mentioning with regret a manuscript that 'went missing at Greenbriar in Devonshire.' Could there really be an undiscovered Jane Austen novel waiting to be found? Could anyone resist the temptation to go looking for it? Jane Austen's fans all know that she only wrote six novels, but what if a seventh was written? This book explores the possibility that Jane Austen wrote another manuscript and that it went missing for some two hundred years. I wish that this was really so, because as a lover of Jane Austen's works, I simply feel disappointed that there are only six novels. Jane Austen is a life-changing type of author and I simply cannot get enough of her. Pride and Prejudice is simply one of my favorite books of all times and Mr. Darcy just makes me swoon. I grew up reading Jane Austen and I am very fond of her works. 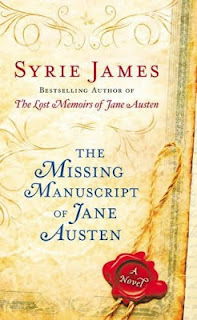 Syrie James uses both past and present in this novel to reveal a missing novel of Jane Austen's that was just recently found. She weaves the search for this lost manuscript with the actual story of the manuscript into this tale. The part that takes place in the present were a little boring to me as I wanted to remain in the past. James does a fantastic job of creating Jane Austen's voice and this so-called lost manuscript adheres to what Janeites are used to seeing. I found that the story very well could have been written by Austen herself and that the author stayed true to the Jane Austen we all know and love. I found it interesting to find myself lost in this purported 'lost manuscript' and it felt very authentic. The lost tale tells the story of Rebecca Stanhope, whose character and background closely resembles Jane Austen's own life. I can see a lot of Jane in her portrayal of Rebecca Stanhope as they both have a father who is in the church, come from a small country town, and have a very close relationship with their older sisters. Rebecca Stanhope must find out things about life and people in this tale and it is hard to fathom that Jane Austen did not write this tale herself. I think Austen's fans will love this book as it so closely resembles the author's abilities that we have come to love and enjoy over the years. Syrie James is amazing at making something so believable and it's hard not to believe that this is fiction. I so wish it could be real. 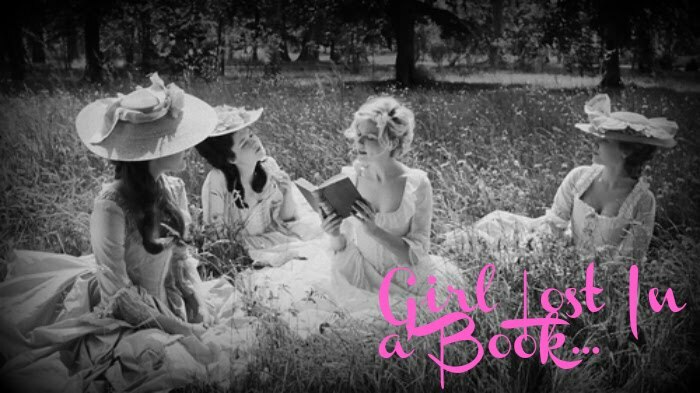 A great read for people who wish Jane Austen could have written more in her short lifetime. Disclaimer: This book was given to me by the publisher, through Edelweiss, in exchange for my review. I reviewed this book without compensation of any kind. All thoughts and opinions are solely mine. Great review. I finished this book on Monday and will be posting my review in a few days. I thought James did a great job of capturing Austen's voice in the manuscript. I will be stopping by to see what you thought about this one. This is the second review I've seen today and both are great. I haven't had a lot of luck with Austen wannabe books, but I really want to read this one now. It sounds really good. It is tastefully done and that makes all the difference. Syrie James has a wonderful knack for getting Austen's tone and voice just right. I highly encourage you to check into it. No Problem...I enjoyed James' first Austen book as well and hope you enjoy this one as well.